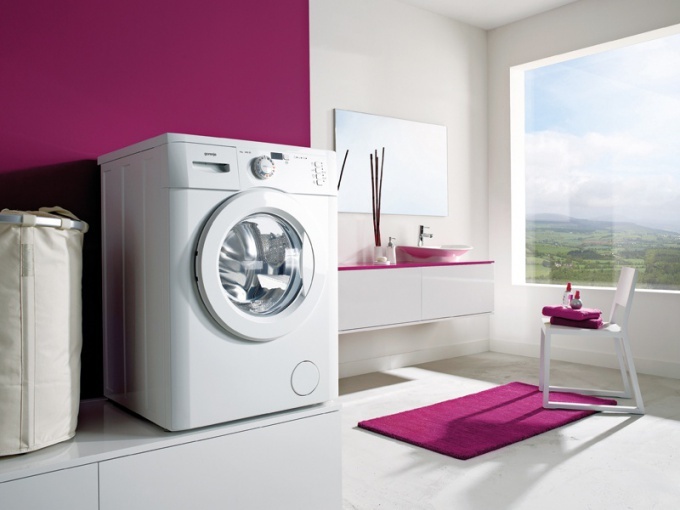 Depending on the layout and technical capabilities of your home, you can arrange drain your washing machine of different ways. All the necessary fixtures are found in every home, and basic plumbing skills is almost every men. - forked pipe or plastic pipe with tap. Determine the location for installation of washing machine. This can be a separate room, bathroom, kitchen. Important proximity to the plumbing system in the house. Think about whether there is enough length of the discharge hose from the machine and exactly how you want to arrange the drain – will it go directly down the drain, or the drain hose will be mounted on the edge of a bathtub or toilet. If you have chosen a way of organizing drain, in which water from the washing machine drained into the tub or toilet, then check the level, which raised the drain hose. Check the manual that exceeds the level of the bath is the distance. The drain hose must be free of kinks. This package washing machine has special holders for the drain hose is mounted thus, use them. This is the easiest way of organizing discharge. Equip sewer pipe an additional outlet in the case if you decided to drain the water from the machines directly into the sewer. Use one of the two ways described below. Find or corrugation siphon, if the siphon is missing under the kitchen sink or under the bath. Way place connect them to the sewer pipe. Rather, it is a hole, plugged with a rubber cuff, which are inserted in the tube from the siphon or corrugation. The rubber sleeve must be removed from the hole, its outer diameter is a diameter sewer holes, and the inner – size of the corrugation. Then purchase a bifurcated plastic pipe, matching it (cuff) outer diameter. Plug through the rubber sleeve-seals forked tube so that one end went into the sewer, and the other two can be inserted respectively the drain hose from the washing machine and corrugation of the sink or bath. Remove the straight pipe that runs from the sink to the trap. Purchase a plastic pipe with a tap of the same diameter. Replace the old pipe with the new one. Drain from washing machine with sealer, attach to the withdrawal. When increasing the drain pipes (the maximum indicated in the instruction manual of the machine) be careful not to change the diameter of the drain hole, the drain hose is not kinked and did not perejimas throughout its length. All this is necessary for the operation of the pump. If the floor in the room is equipped with a drain, you can make free drain directly from the machine, conveniently attaching the drain hose.